As 3 Mar 2011, YTLLAND formed reversal candlestick. 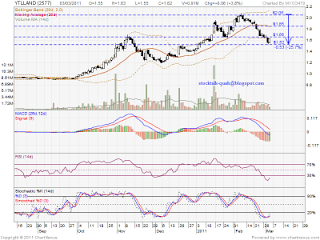 If able rebound, next resistant would be RM1.66 & RM1.85 level. If the rebound strong enough, it might retest RM2.05 high as well. 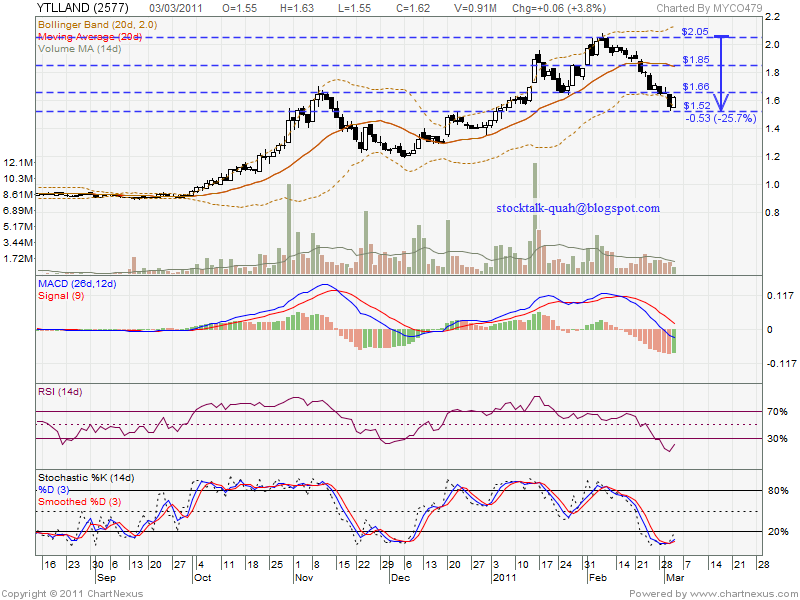 If future retrace down, next support level, RM1.50 which also MA100 support level.